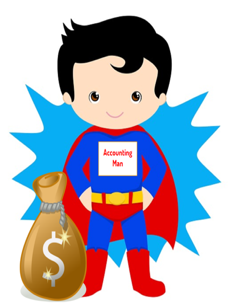 Revenue and billing can be easily confused if you do not have an accounting background. The purpose of this post is to provide a high-level explanation of these terms and how they are handled using NetSuite Business Intelligence. The reason accounting revenue may differ from billing is because the revenue recognition principle permits businesses to recognize revenue only when an obligation is substantially completed. This is illustrated in the billing and revenue schedule below. In this example, a business signed a one year contract for $24,000 and committed to invoice the customer quarterly. When Does NetSuite Business Intelligence Differentiate Between the Billing and the Revenue? NetSuite Business Intelligence manages the differentiation at the moment of the sale. NetSuite creates the transaction (Sales Order/Invoice, etc.) and at the same time it generates the revenue arrangement record, and this is used for the revenue recognition process. The revenue recognition principle states that under the accrual basis of accounting, you should only record the revenue when an entity has substantially completed a revenue generation process. You record the revenue when it has been earned. It is considered revenue at the moment at which the risks of the goods are transferred to the customer completely and the company has no responsibility for the goods sold. Based on this definition, revenue recognition can happen before or after the billing process of the good. NetSuite Business Intelligence addresses the common business challenge of separating billing and revenue with an outstanding feature called “Advanced Revenue Management“. Once this feature is enabled, it has all the necessary tools to configure the revenue recognition process. Revenue Rule: Defines patterns for how this item will be recognized. Once this is configured and has a transaction related to it, the Revenue Arrangement Record will be created according to the item configuration. Revenue Arrangement Record: Records the detail of the customer performance obligations for purposes of revenue allocation and recognition. On this record, there is the Revenue Elements Record. Revenue Element Record: Corresponds to individual lines in a source. These lines will be the same as the ones from the transaction, defining the information of each item on how they will be recognized. This is something that will be specified on the Revenue Plan Record. Revenue Plan Record: Under this record will be the posting periods where the revenue should be recognized and the amount to be recognized in each period. The revenue plans are derived from revenue recognition rules. Each revenue element will have its own revenue plan. The billing process specifically relates to invoice generation and payment collection within the sales process, it does not matter what kind of sale, it will always be part of the billing process. You can bill the customer in multiple ways in NetSuite using invoices, cash sales, and statement charges. These are transactions that record any product or service provided to the customer and how much you charge for each item or service. In addition, NetSuite Business Intelligence also provides Billing Schedules which comes with the Advanced Billing feature to invoice sales over a range of time or a contract term. For example, a consultancy company can use advanced billing to manage recurring billing on sales such as a one-year membership billed quarterly. Billing schedules manage the billing process to track when to invoice customers and how much to bill. In order to be able to use billing schedules, the Advanced Billing feature must be enabled within the account. After this is done it is possible to create billing schedules according to the company needs. You can create billing schedules to apply to items and to sales. As for the revenue recognition, where you always have to set up the revenue rule on the item, you can set a specific billing schedule to an item or set it up for billing schedules at the moment of creating the transaction. This enables the company to have freedom in terms of how to bill depending on the customer. Accurate Billing Is Important To Keep Your Client Happy! Every once in a while depending on the type of company, you may need to have multiple and/or different revenue rules and billing schedules but hopefully understanding the capabilities of NetSuite will help. Leslie is the head of ERP NetSuite consultant team at Trajectory Inc, leadering big customers’ accounts and providing assistance in order to find key solutions to help clients customize their systems. Leslie is constantly looking to improve and boost her team to perform better. She is adept of innovative implementation and is always up to create new practices to growth the business efficiency. It’s hard to find Leslie outside of the office because she is constantly traveling and participating in sports.